Sharon T. Moran was born and raised in Lemont, Illinois, a southwest suburb of Chicago. She attended Purdue University in West Lafayette, Indiana, where she received her Bachelor of Arts in Communication, with a Minor in Political Science in 1992. She was a member of the Purdue Women’s Track Team and became a life-long Boilermaker fan. She attended law school at Hamline University School of Law (now known as Mitchell Hamline School of Law) in St. Paul, Minnesota. During this time, she studied law abroad at Trinity College in Dublin, Ireland. Ms. Moran became licensed to practice law in Illinois in 1997. Ms. Moran practiced appellate law and was a guardian ad litem for minors in juvenile abuse/neglect proceedings at the Winnebago County Public Defender in Rockford, Illinois, and the Law Offices of the Cook County Public Defender in Chicago. She also worked as an attorney title examiner for Chicago Title in residential and commercial deals. During her time as a proud stay-at-home mother of two children, Ms. Moran completed a Masters of Law in Family Law (LL.M.) from Chicago-Kent College of Law. She gained extensive experience through her judicial and appellate law externships during the LL.M. Program. Additionally, she became a family mediator after completing Divorce and Family Mediation Training and Screening for Impairments and Domestic Violence. Ms. Moran resides in Geneva, Illinois with her husband, Richard, and children, Marina and Ian. Ms. Moran is an active member of the legal community. She serves in the leadership role of Committee Chair of the Estate & Probate Collegium Committee for the Kane County Bar Association. She is also a member of the Real Estate Committee and Family Law Committee in Kane County. Ms. Moran is a member of WealthCounsel, a national organization of more than 4,000 estate planning attorneys. As a member, she has access to continuously updated estate planning resources and premier educational programs, which allows her to bring practice excellence to her clients. 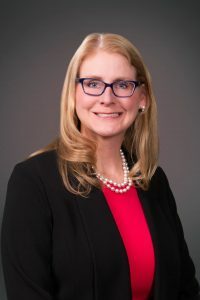 Ms. Moran is also a member of the Illinois State Bar Association (Trusts and Estates Section) and the Chicago Bar Association. Ms. Moran believes in giving her time and talents to legal organizations that help those persons most in need in the community. She was an attorney volunteer for the Center for Disability and Elder Law (“CDEL”) in Chicago, where she drafted estate planning documents for elderly clients. Additionally, she was an attorney volunteer for the Legal Aid Society of Metropolitan Family Services in Chicago, where she represented victims of domestic violence in divorce proceedings. Ms. Moran enjoys traveling with her family, and staying physically actively through tennis and 5K races for charity. As a mother of two active children, she enjoys cheering on her daughter and son at their respective sporting events as well as volunteering for local school events. © Copyright 2019 Law Office of Sharon T. Moran. Lawyer Landing Page by Rara Theme. Powered by WordPress.